If your remodel includes an appliance update, choosing new appliances is an important place to start. Consider the size of each appliance on your wish list and begin familiarizing yourself with the different brands. 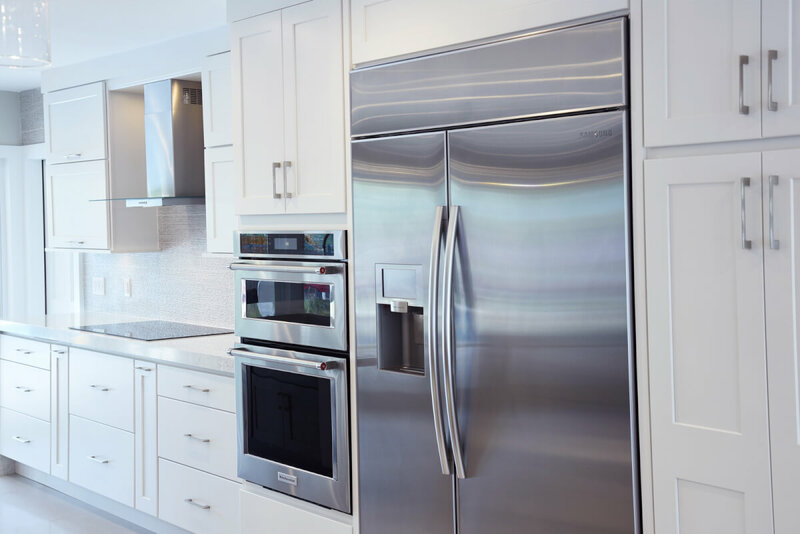 Having your appliance selection available before you begin the design phase is crucial in maximizing the space and efficiency of your kitchen. Some of the popular luxury brands in the market include Miele, Thermador, GE Monogram, BEST, Subzero and Wolf. Having a basic inventory of your kitchen equipment will improve the functionality of your cabinets. 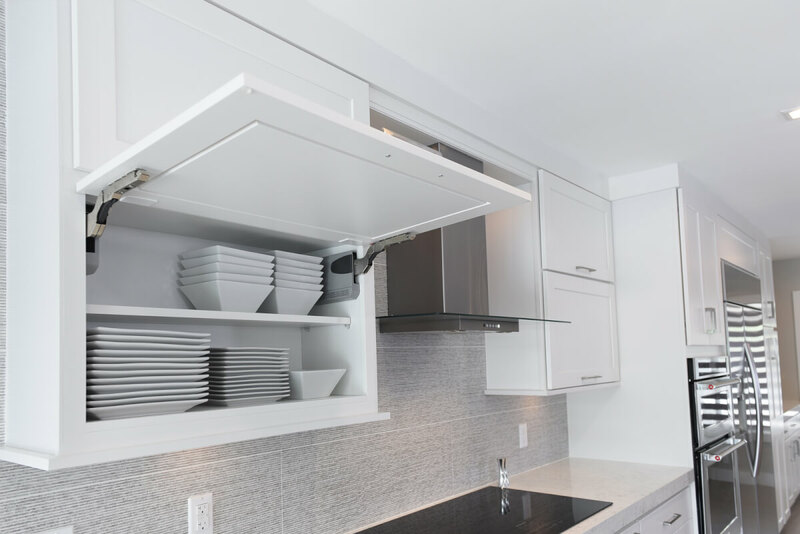 Today’s cabinet accessories are designed to house essentially everything you store in the kitchen from pot and pan drawers, to Keurig pod inserts. Your cabinets should each have a specific interior function. This will also eliminate unsightly countertop clutter. When it comes to countertop material, selecting a surface that’s built to last is essential. 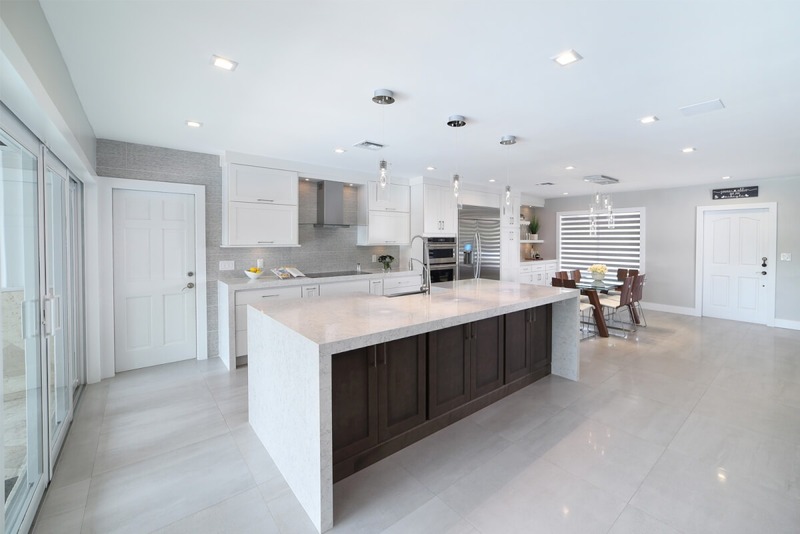 You’ll want to choose a surface that is durable and resilient such as Stainless Steel, Quartz or Granite. 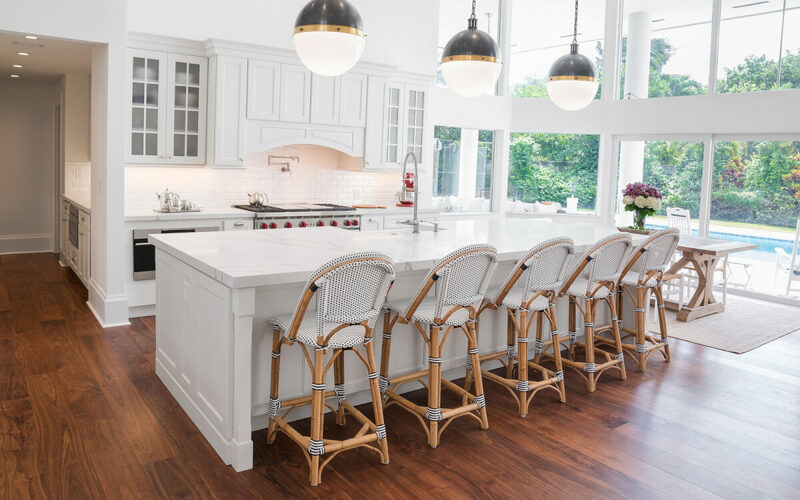 Although popular for their esthetics, we highly recommend staying away from porous surfaces such as Marble and Butcher Block counters in the kitchen. Both quartz and stainless steel are nonporous and nonabsorbent so they won’t allow moisture in from raw or leftover food, which can harbor harmful bacteria.